In the wake of New Year's, many men and women will begin to consider their annual resolutions. According to last year's New Year's resolution statistics, the most common resolutions involve losing weight, developing a healthier lifestyle and enjoying life to its fullest. 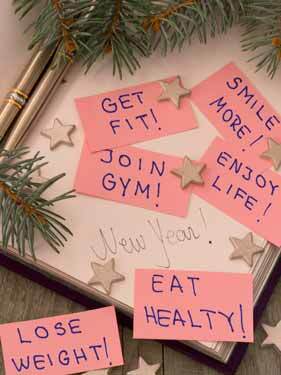 However, only eight percent of people who make resolutions are successful in achieving them. Given these trends, could getting plastic surgery provide a more positive start to the New Year? Since the growing pervasiveness of social media and the rise of the "selfie," cosmetic procedures have increased in popularity. Whereas the majority of cosmetic surgery patients were once aging men and women looking to regain a youthful appearance, many young people are now interested in looking their best around the clock, especially on social media. Social media began as a way for young people to connect with friends online, but Facebook, Twitter and other platforms have become a booming industry of individuals, corporations and educational institutions. For many, looking great on social media isn't about vanity; improving profile pics through cosmetic surgery could help create an image that may influence your professional life as well. Having a cosmetic procedure performed often motivates patients to apply more effort into modifying their lifestyle choices and maintaining their diet and exercise changes. In addition to the practical benefits of cosmetic procedures, the start of a new year is frequently a time when people feel encouraged to let go of the guilt that may come with spending time or money on themselves. After all, making it through the previous year is often seen as cause for celebration, and putting your best foot forward come January 1 can affect your general attitude of the year to come. Many men and women consider plastic surgery at some point in their lives, but dismiss the thought as being too expensive, too time-consuming or too frivolous. However, placing priority on your own happiness, wellbeing and enjoyment of day-to-day life can mean improved mental health and a more positive outlook, so perhaps the New Year can also mean letting go of any negative preconceptions about investing in yourself and your own future. New Year's resolutions are becoming increasingly fitness-oriented, and plastic surgery complements many of the benefits of a healthy lifestyle. The most common resolution is to lose weight, but diet and exercise alone may not always deliver ideal results, especially since we have no control over where our bodies store or lose fat. For example, subcutaneous fat (the stubborn pockets of fat that lodge themselves around the abdomen, love handles, back, neck or thighs) is notoriously difficult to slim down. Cosmetic surgery such as liposuction and tummy tucks is not designed as a weight loss alternative, but rather offers more finesse for fine-tuning body contours, picking up where diet and exercise fell short. Breast enhancement can create more balanced proportions or a sexier profile, while facial procedures can subtract years from your appearance and bring harmony to your features. The end purpose of most resolutions is more or less consistent: to enjoy a higher quality of life. While cosmetic surgery may seem like a quick fix, studies suggest that men and women experience more enjoyment and satisfaction in life as well as higher self-esteem after plastic surgery. Self-image can have a tremendous impact on our overall attitudes toward ourselves and our lives; from this perspective, it's certainly possible that plastic surgery could help many in achieving their New Year's resolution goals this year.